There are a few major components to a healthy digital marketing strategy, and SEO is certainly one of them. Advertising, social media, content marketing and SEO all clearly impact your website’s popularity on the interweb. Search Engine Optimization specifically helps to increase your website traffic and visibility with search engines [cue: Google]. SEO has changed immensely over the years, and as certain as death and taxes, SEO is going to continue to evolve. In the 90’s and early 2000’s, you used to be able to stuff your website full of keywords, hide text within webpages, farm for links and voila! You’d be on the first page of Google. But not so fast. Those days are long gone. SEO has gotten more and more complicated as search engines crack down on black-hat tactics. Not to mention, the internet is just more crowded these days. There are billions of users and millions of brands competing for placement and attention - it’s not as easy to be at the top of Google anymore. That being said, there are tried and true white-hat SEO tactics that aren’t going anywhere fast. These tactics and best practices should be monitored regularly, and will have a lasting impact on your website’s traffic and visibility. +Well written, branded meta-data with relevant keywords. Title tags should be no longer than 70 characters and meta-descriptions should be no longer than 150 characters. +Complete ALT text on all images of your website. Include a keyword or phrase in the ALT text but do not “stuff” it full of keywords. +Gaining links (do-follow AND no-follow) via relevant and trustworthy websites that are relevant to yours. The best way to go about this is to identify the websites, and personally reach out to them, letting them know you have relevant content that they might appreciate! +Develop high-quality, educational/informative/entertaining content. Canva is a fantastic tool that anyone can use to create stunning digital content without any graphic design experience. +Regular keyword research analysis via tools like SEM rush (free & paid options) and Google Search Console (free). Contact us for help getting either set up (We’ll help at no charge). #1: Develop a multi-prong content marketing strategy. Content marketing and SEO are really hand-in-hand. In order to have a strong SEO strategy, you need exceptional content to back it up. If SEO is all about getting valuable traffic to your website, then content marketing is the vehicle that’s going to get it there. Develop a monthly content plan to keep relevant audiences engaged with your site, and we promise that your bottom line will grow in the long-term. Your content marketing strategy doesn’t have to be complicated. We suggest outlining a series of blog post topics that address needs, challenges, and interests of your target audience. Consider 2-4 blog post topics per month and create a master list to store topic ideas for each month of the year. Once per quarter, repurpose your highest viewed blog post into a video, checklist or e-guide to extend the life of that piece of content! Google has been at it for years, but in March of this year, they officially started moving websites over to mobile-first indexing. This means that Google’s crawlers are going index the mobile version of your site first. There is literally no excuse to have an un-friendly mobile site - and if you’ve been putting off your mobile friendliness for whatever reason, 2019 is the time to get it together or your website traffic will suffer…big time. What’s the deal with page speed? Well, think about it this way: Say, you go to look up the best taco shop nearby (because why wouldn’t you?). During your Google search, you’re shown a list of options on the first page - not to mention a slew of others on the right hand column. Do you think Google wants to place a slow performing website on the top of that list? Absolutely not. Google wants their users to have lightning speed service, so they keep coming back for future searches. If your website doesn’t meet page speed requirements, your rankings will suffer. Thankfully, we can help you understand and optimize your website’s page speed. If you have questions and would like to request a free speed report of your website, send us a message! Alexa, where is the best pizza near me? Sound familiar? Voice search is dominating and will only continue to grow in popularity. Voice search isn’t going to impact every industry, but in terms of micro-searches, it may impact you. When planning your 2019 marketing initiatives, consider all the ways in which someone might use voice search to find a business like yours. There is still a lot to be discovered in the arena of voice search, and some of you may feel like it may not necessarily apply. We believe that voice search will apply most to local service based businesses and quick serve restaurants. Keep in mind that voice search and google maps are synched - so businesses without physical locations may not appear in voice search results. Take the time to consider how voice search might have a role to play in your business. If you believe you may be impacted, begin integrating voice search keywords into your SEO strategy to stay one step ahead of the curve. In 2019, user experience will continue to be a definite factor in the success of your digital marketing efforts. Design your website for a human being. Better yet, the human beings that are your core customers. Don’t get so lost in trying to make sure your website can be crawled by spiders that you forget about the people buying from you. Think about what factors will make your website a seamless and unforgettable experience for your target audience and focus your attention, energies, and budget into making that happen. As you can see, SEO takes multiple checkpoints and strategies to work effectively. There is a not one-sized-fits-all strategy, but there are several must-do’s [as mentioned above] that every business should be putting into practice. Above all, the most important thing you need to know about marketing your business in 2019 is that your strategy needs to be multi-faceted. You can’t rely on just one tactic to get the word out about your business. It is more important than ever to diversify your marketing efforts into different strategies. You should plan to invest in SEO, social media marketing, content (video, graphics, guides, etc), and advertising for a well-rounded and effective approach. 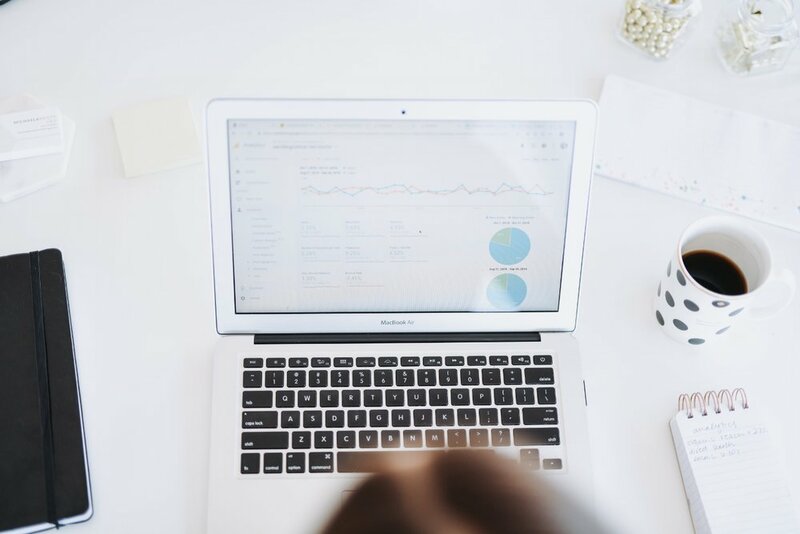 If you’re just getting started with SEO, we’d suggest working with a team of SEO nerds to conduct an analysis, perform an on-page SEO update, and develop an ongoing off-page SEO strategy. We’ve helped businesses both large and small with SEO and know what it takes to get results. Our approach is transparent and fluff-free, and will leave you with a dialed in strategy for healthy and consistent website traffic and brand awareness. Have questions? Contact our team.